for the night, the border at Paso de San Francisco, situated at 4700m. and those following the rally, the organisers have decided to organise a convoy for all vehicles tomorrow. The itinerary has been changed after the border (follow the main road on the right which goes to Diego de Almagro). chiliennes ont été contraintes de fermer pour ce soir la frontière au Paso de San Francisco qui culmine à 4700 mètres d’altitude. en convoi l’ensemble des véhicules demain. Two stages traveled, the first stage Mar del Plata – Santa Rosa lost a little time he lose the iritrac on his bike, had to stop to find and install , lost valuable time there, arrived in the post 98.
the third special Will Be Marked by Changes in the constant height and the Subsequent crossing of rivers and streams. The soft ground of the last days Will give prominence to a hard and stony ground. 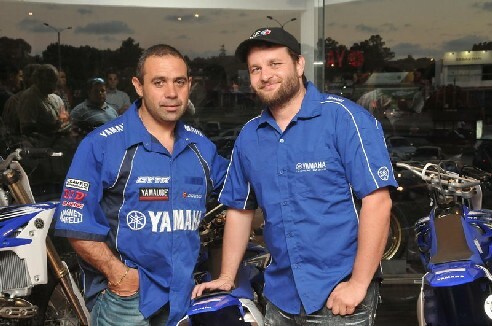 TOMOROW I START MI 6 DAKAR, I READY WITH MI NEW BIKE YAMAHA Y NEW TEAM , MOTO TEAM BY ELF. 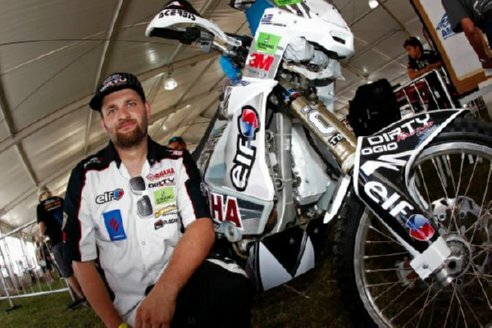 For mi 6 dakar, i change my bike, for the first time , with yamaha , is a new private team, MOTO TEAM BY ELF . 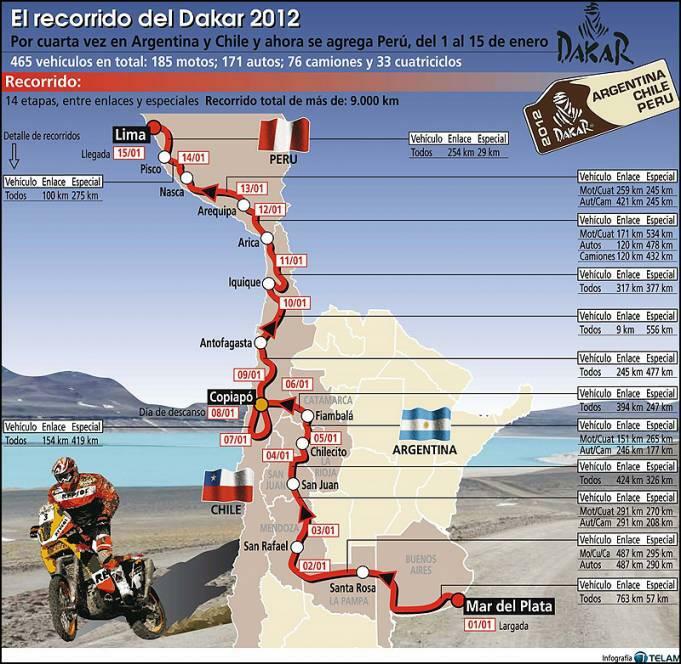 i happy to integrate this team for the next dakar , with 2 argentinan rider. 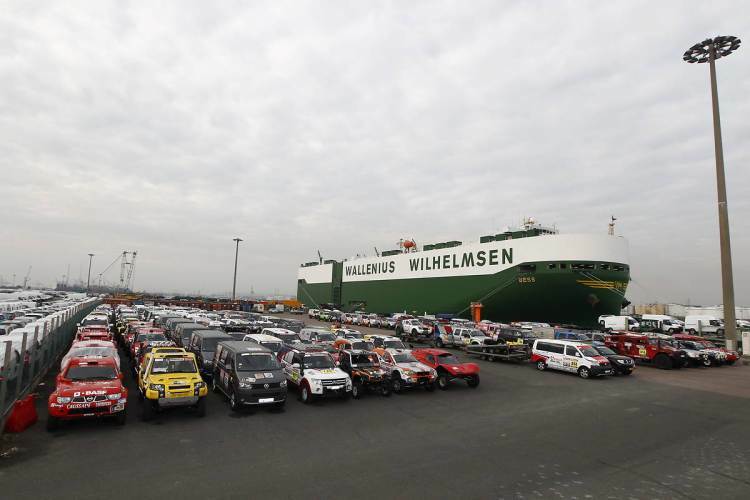 with the arrival of the vehicles set sail for South America. sail the seas for 21 days before arriving at a port in Argentina. soon… more news from Laurent Lazard and hes new bike .